Vitamins are a group of organic compounds that poultry only require in small quantities, but they are essential for normal body functions, growth, and reproduction, writes Harsh Pandit for ThePoultrySite. A deficiency of one or more vitamins can lead to a number of diseases or syndromes. Vitamins are divided into two categories: fat-soluble and water-soluble. 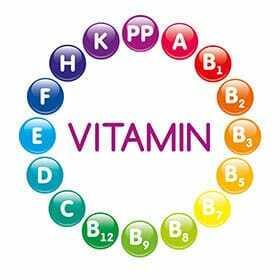 The fat-soluble vitamins are A, D, E, and K. The water-soluble vitamins include vitamin C and the B vitamins. Poultry can make vitamin C, so there is no dietary requirement established for this vitamin. Vitamin C supplementation is useful when birds are in stress. Vitamin A is required for normal growth, reproduction and maintenance of epithelial cells in good condition (skin and the linings of the digestive, reproductive, and respiratory tracts). Deficiency causes nutritional roup, characterised by conjunctivitis, oculo-nasal discharge, and eyelids stuck together with thick exudates. In advanced cases necrosis and keratinisation of mucosa of alimentary and respiratory tract occurs. Fish liver oil and greens are rich sources of vitamin A.
Vitamin D3 is required for proper absorption and utilisation of calcium and phosphorous, which are required for normal growth, bone development, and eggshell formation. Vitamin D can be produced when sunlight hits the bird's skin. Deficiency leads to rickets. Birds produce thin shelled eggs with reduced hatchability, show leg weakness and penguin like sitting posture. The beak, claws and ribs become very pliable. Characteristic feature is the bending of sternum and spinal column. Fish liver oils are rich sources of vitamin D.
Vitamin E is a powerful antioxidant and important for normal neurological functions. Deficiency leads to encephalomalacia/crazy chick disease, exudative diathesis in young birds, muscular dystrophy seen more frequently in older and mature birds. Vitamin K is essential for synthesis of prothrombin, thus it plays an important role in clotting mechanisms and also has a protective effect against coccidiosis. Deficiency of vitamin K may cause an increase of blood spots in eggs, haemorrhages in the legs and breast and a failure of blood clotting. Wheat germ oil, fish liver oil, alfalfa meal, greens, germinated pulses, soybean oil, grains and fish meals are rich source of Vitamin A, D3, E and K.
The B vitamins include vitamin thiamin, riboflavin, niacin, pantothenic acid, pyridoxine, biotin, folic acid, and cyanocobalamin. The B vitamins are involved in many metabolic functions, including energy metabolism. A vitamin premix is typically used to compensate for the fluctuating levels of vitamins found naturally in food and to assure adequate levels of all vitamins. Thiamine (Vitamin B1) is necessary for proper carbohydrate metabolism. The deficient birds show anorexia, loss of weight, ruffled feathers, dropping of wings and paralysis of muscles. The birds sit on flexed legs and draw back the head in a 'star-gazing' position. It is found in abundance in rice polish, wheat bran and cereal grains. Riboflavin (Vitamin B2) is part of enzyme systems so plays a vital role in metabolism. The deficiency causes diarrhoea and “curled toe paralysis” in birds between the first and second week of age. The affected birds walk upon their hocks with the aid of their wings. In adult birds, decreased egg production, increased embryonic mortality and dead in shell chicks, with dwarfing and clubbing down feathers are seen. Embryo mortality reaches a peak between 18 to 20 days of incubation. Grasses and brewer’s yeast are rich source of this vitamin. Pyridoxine (Vitamin B6) is necessary for proper metabolism of amino acids. Due to deficiency, spasmodic convulsions and jerky movements are seen in sick birds. The bird should be fed cereal grains, yeast and alfalfa meal. Cyanocobalamin (Vitamin B12) is involved with nucleic acid synthesis, carbohydrate and fat metabolism and methyl synthesis. This is found in all foods of animal origin. Its deficiency shows slowed growth, poor feed utilisation and reduced hatchability. Embryonic mortality reaches peak on the 17th day of incubation. Myotrophy of legs and haemorrhages in the allantois of the embryo may be seen. Fish meal, milk products and animal proteins are sources of vitamin B12. Choline deficiency: The deficiency of choline causes perosis, characterised by puffiness around the hock joint, flattening of the tibiometatarsal joint and a twisting and bowing of the metatarsal with a slipping of the Achilles tendon from the condyle. The livers of deficient birds show abnormal fat contents. Yeast, fish meal oil cake and synthetic choline can be given to birds.